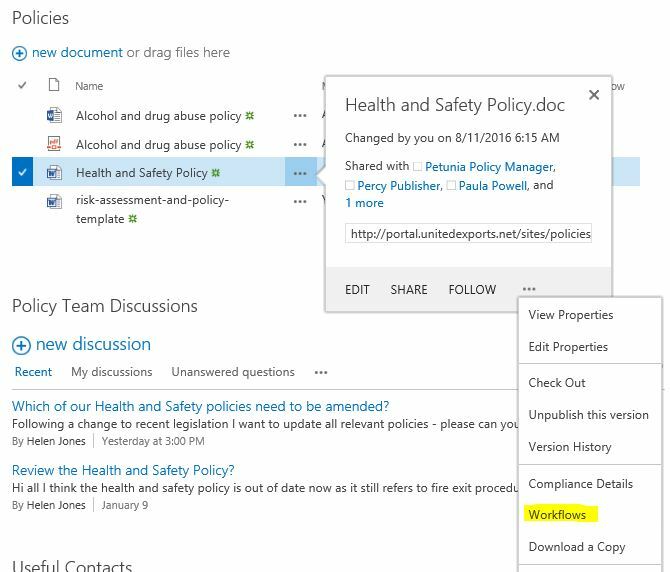 SharePoint workflows can be used for a variety of different purposes, but in this post I’m going to concentrate on how a basic SharePoint Policy Approval workflow can be used when a document / policy or procedure is changed. The short (<4minutes) video below demonstrates this process in practice. The text below explains the process step by step. Let's consider a Health and Safety policy that needs to be revised. Revisions can be required for a variety of reasons including legislation changes, to reflect new circumstances or simply to update the policy for a new year. In the SharePoint library below you can see that currently version 2 is available. I'm using versioning on this SharePoint library so after accessing the policy, making the necessary changes and saving the work, the policy has been saved with a version number of 2.1. Each time the document is amended and changed the version number will increment by 0.1. Once all of the changes have been made you need to create a major version so click on the ellipsis twice and select the 'Publish a Major Version' option as shown below. You can also add any relevant comments about the policy as you do this. The version number now shows as 3.0 as below. 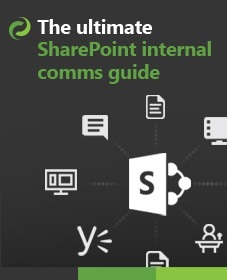 Now the item is finished we can start a SharePoint workflow to gain formal approval for this version. Note: you may wish to save your policy as a PDF (and create a major version) before following the rest of these steps with the PDF version. 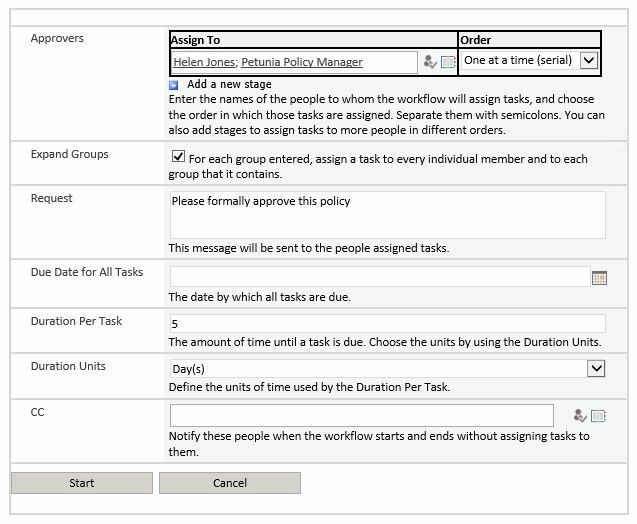 Follow the ellipsis again and select the 'Workflows' option as shown. This will take you to a screen where all of the workflows that are available on this site are shown. 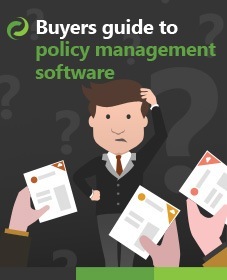 In this case, I want to use the Policy Approval Workflow. This workflow has been designed to ask 2 people to formally approve the item. You can add as many individuals as you need to this process and you have the option of asking them to complete the tasks one after the other (in serial) or all at the same time (in parallel). If you chose a serial order the second task won't be created until the first one is completed. Parallel tasks are all created at the same time which can ensure all tasks are completed faster, but means that you can't follow a specific order if you need one specific person to have a final say. I chose a serial order for the tasks so once the workflow is started the first task is created. 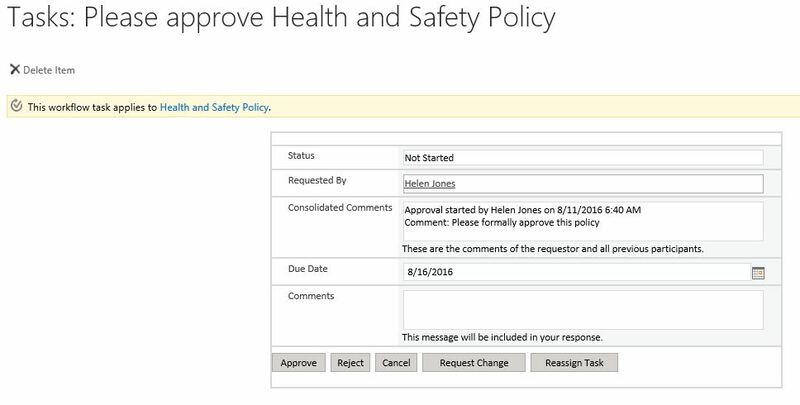 I included the Approval Workflow Tasks app on my Policy Creation Workspace so all of the tasks will be viewed when the page refreshes. When I clicked on the task, the window below opened showing me all of the relevant details. Clicking on the link to the document (in the yellow bar) opens the policy so you can check that you are actually approving the correct version and that all of the details are correct. Once checked you then select the most appropriate button at the bottom of the window, you may wish to approve, reject, cancel, request further changes or reassign the task to someone else. I approved the document, so the second task in the series was created for Petunia, our Policy Manager, who will receive a similar task to the one I received above and who gets the opportunity to make the same decision about the task as I did. 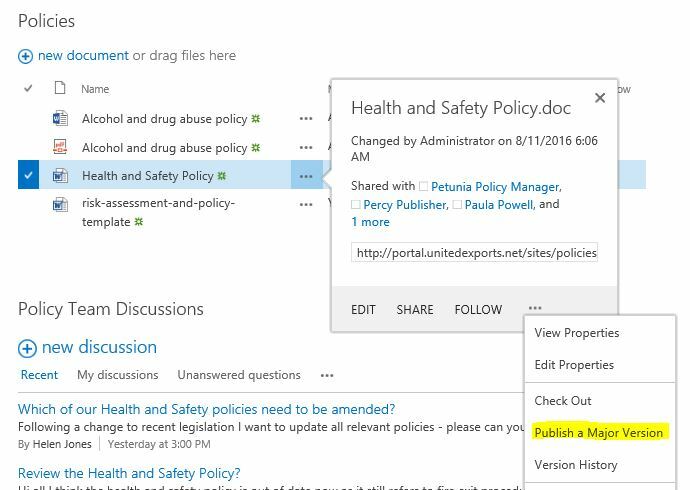 Once all of the tasks are completed, the document shows as approved in the policy library. I plan to create further webcasts to show how to create the workflows and other related information and will add links here once they are available.